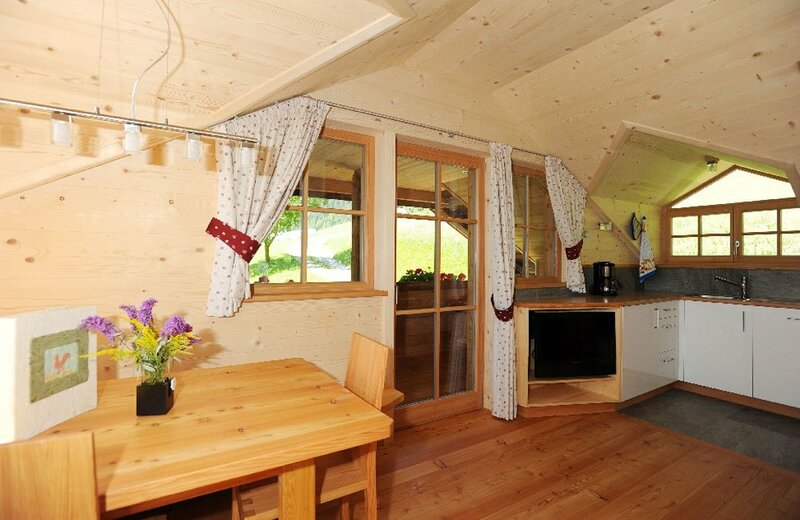 For our guests, in 2012 we have extended the farm Prackfiedererhof – with a holiday house at the highest level regarding organic construction. 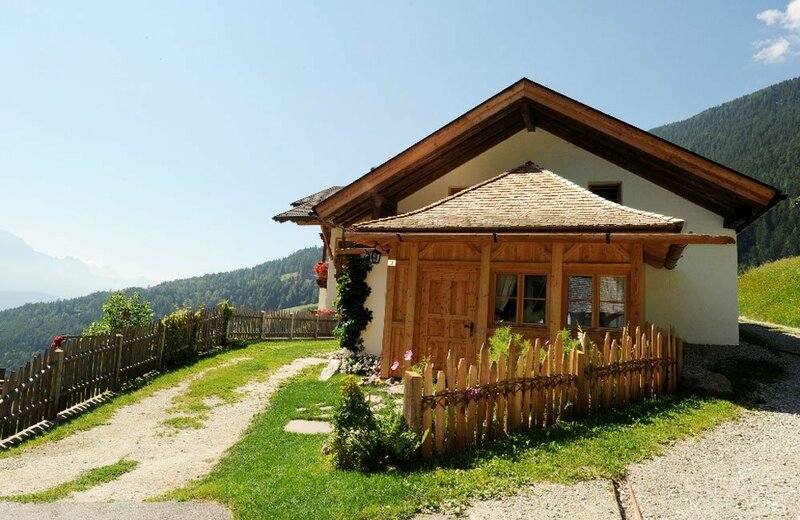 The holiday house Dolomites is located right next to the farmhouse and will fascinate you already from the outside with its skilful combination of old and new features. 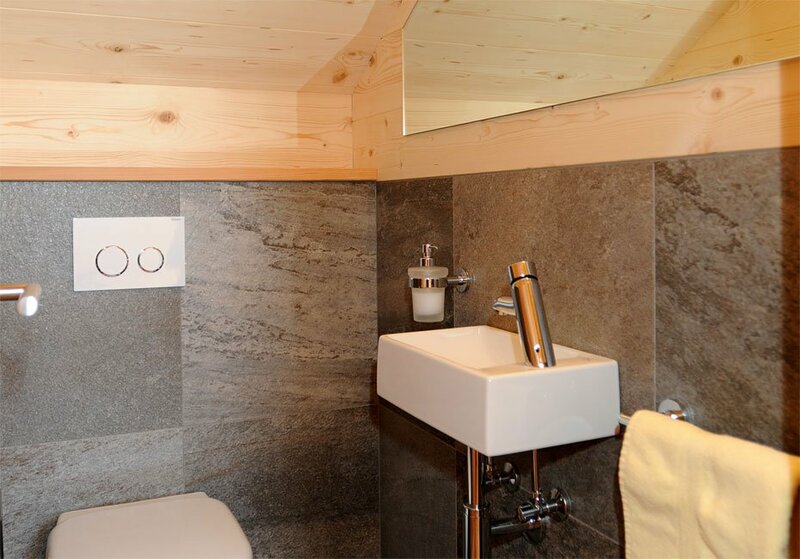 The sophisticated interior mainly consists of solid wood and natural stone. The building meets the climate house standards. 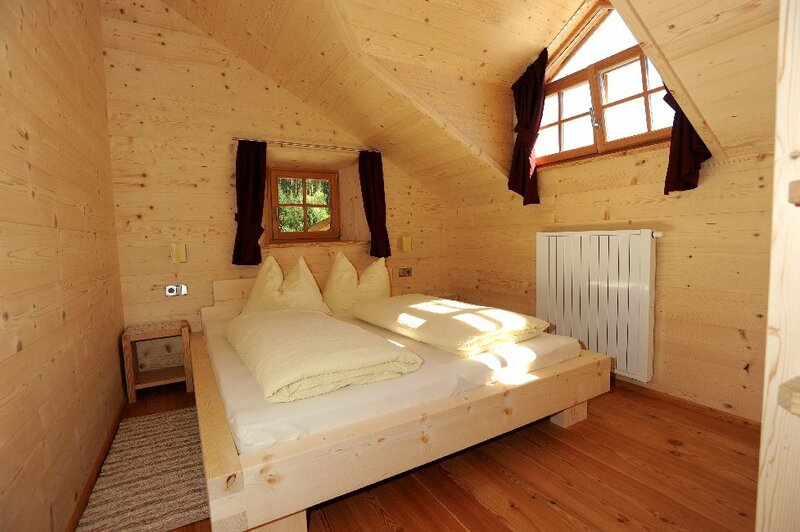 During the renovation, only regional materials were used, the wood comes exclusively from our own forest. 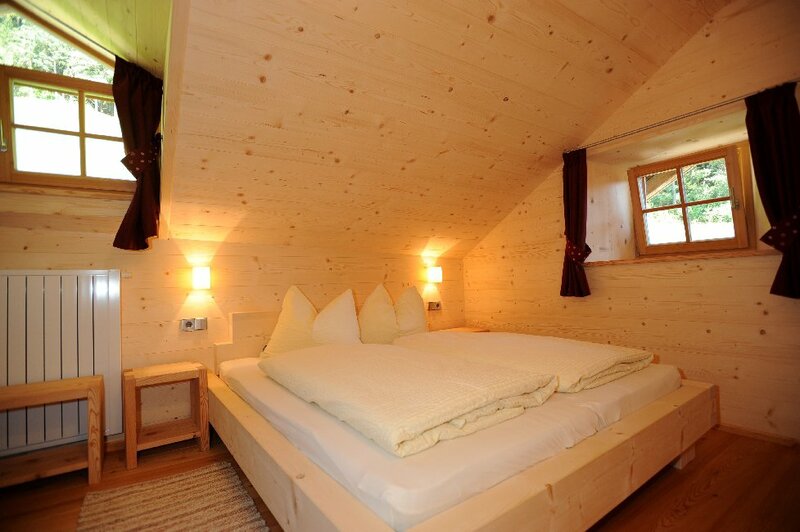 The holiday house offer you the best comfort. Natural materials combined with modern design features create a unique living experience. We furnished our rooms in respect of your health. 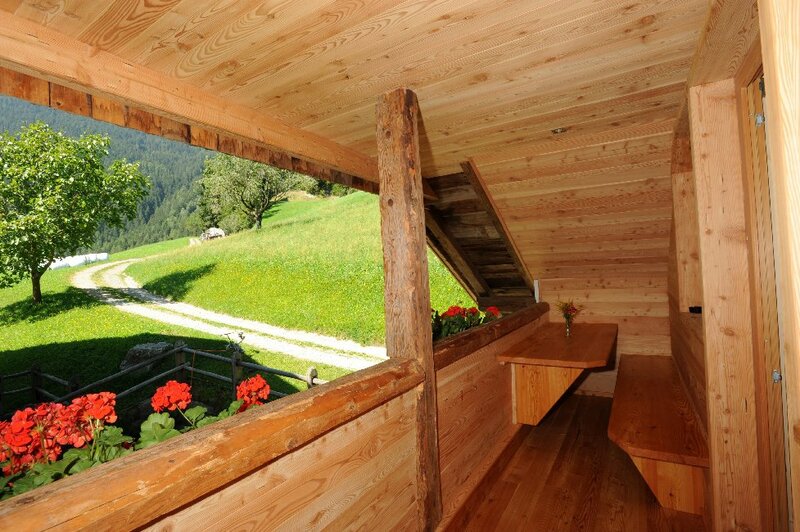 The ecological building features assure a better indoor environment, excluding possible causes of health problems. 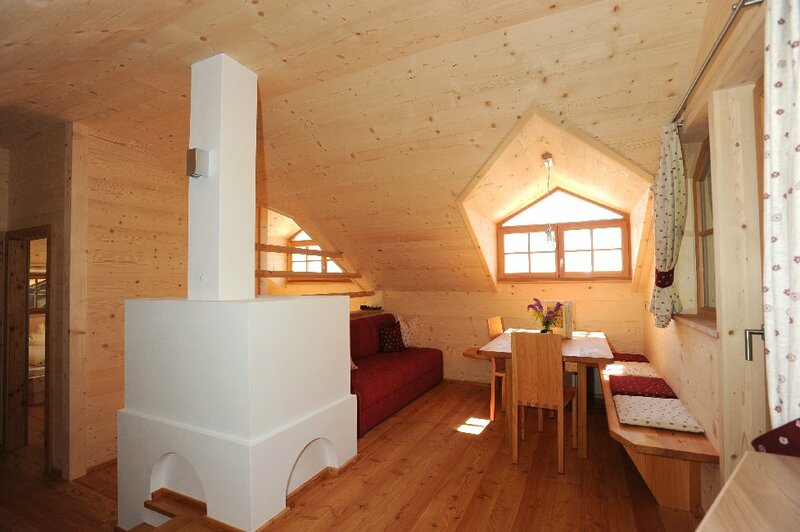 The holiday house has 2 floors and with 85 sqm offers enough space for 4 to 6 people. 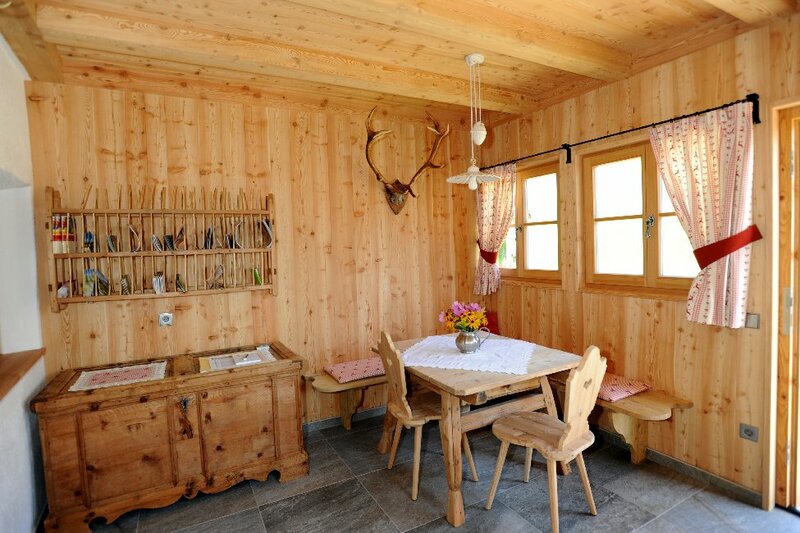 The holiday house Dolomites has a spacious eat-in kitchen with beautiful views on the DOLOMITES. The brick stove and the cosy corner with sofa invite you to relax and feel good. 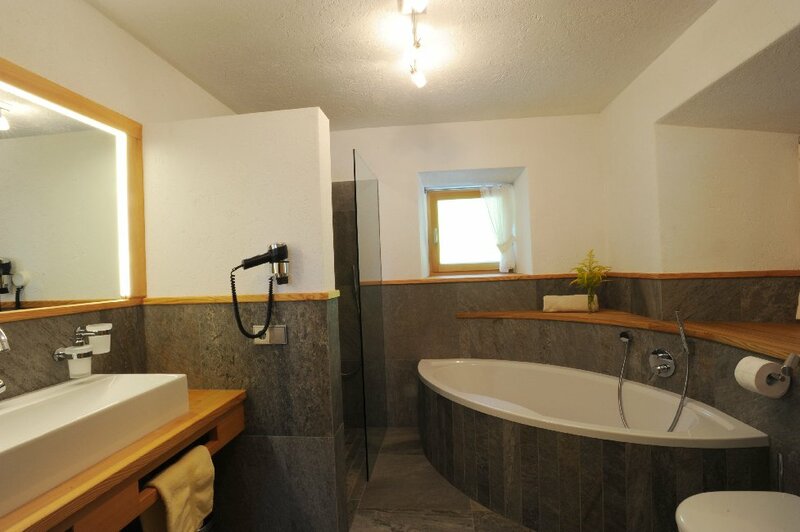 There are two bedrooms, a modern bathroom, a separate lavatory and another cosy lounge. The large balcony features a corner bench with table. 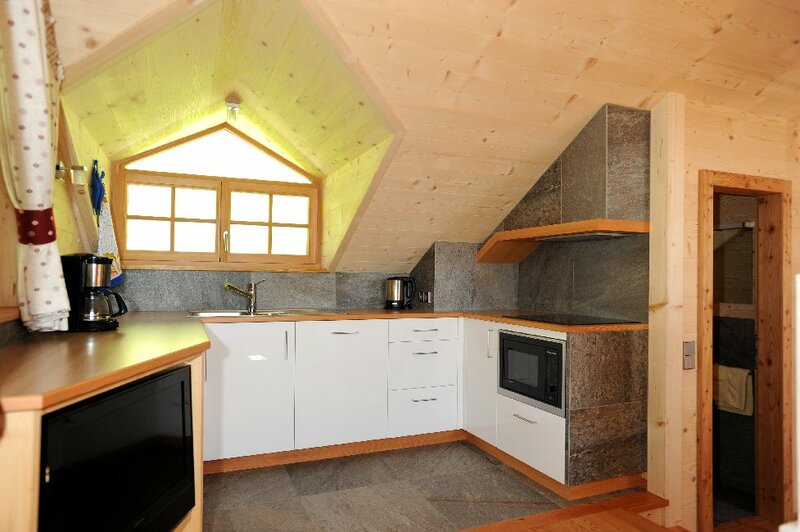 The apartment is equipped with a dishwasher, microwave, coffee machine, kettle, fridge, cooking utensils and digital TV. 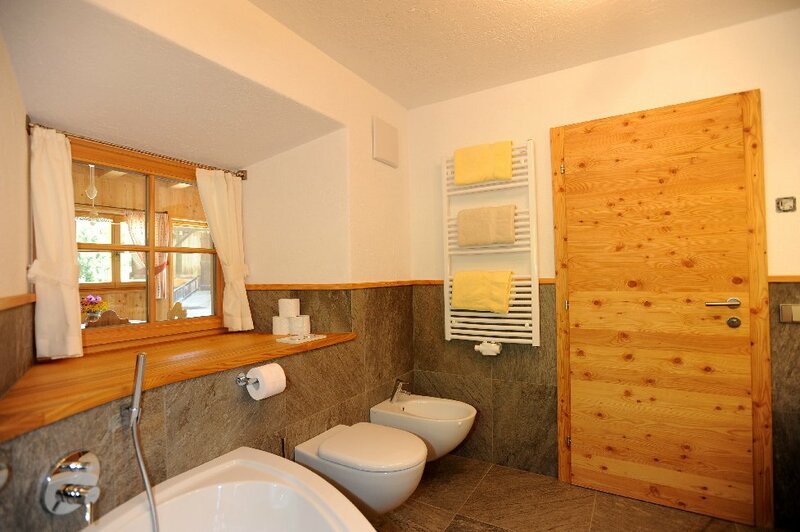 Hairdryer, bed linen, towels and tea towels are provided. The floor plan of the ground floor is available here. The floor plan of the upper floor is available here.